WETHERSFIELD - Alex Bugnacki saved one of his best performances for the biggest game of the season. 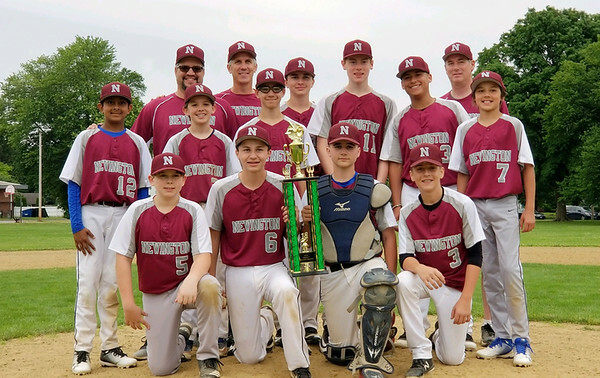 Bugnacki pitched a no-hitter and struck out 10 as the Newington Babe Ruth 99 Restaurants beat Wethersfield 14-0 for the Babe Ruth District 7 Championship last Sunday. Bugnacki also had plenty of success at the plate, leading the two with two hits along with Will Lynch. Sean Hurley added a long double to left field, while Jesus Cintron and Nick DiCioccio also had base hits for Newington. Newington’s offense also benefitted from the 18 walks issued by Wethersfield pitching. Posted in New Britain Herald, Newington on Friday, 15 June 2018 21:14. Updated: Friday, 15 June 2018 22:02.